We have come to the end of our trial of The Win Picker and it has unfortunately not picked quite enough winners. The service has finished 9 points down, which is certainly no disaster and represents just a 9% loss of the 100 point bank we used, but fails to live up to the results claimed on the website prior to the trial. On the plus side, all selections are given at Betfair SP so there is the possibility of beating the published results if you shopped around and used best odds guaranteed bookies. They did have quite a few seconds during the trial as well, so things could have turned out better with a bit more luck. As you can see, it was in profit for most of the trial but then nosedived just at the end with a run of losers. Ease of use: Very good, just two bets per day and all selections can simply be backed at Betfair SP. Availability of prices: Excellent – as above, results are recorded at Betfair SP so you are guaranteed achieving the same results as those published. Strike rate: The strike rate for the trial was reasonably good at 32% – probably just needs to be a little higher in the long run to achieve sustained profit growth. Advised Betting Bank: A betting bank was not advised but we used a notional 100 point bank, which was more than sufficient and with a 32% strike rate should be comfortable to cover drawdowns. Subscription costs: Good value at £20 for 100 days. A final total of -9 points for the trial was disappointing, given the results published on the website for the period prior to the trial and that they were in profit for the most of the trial only to nosedive at the end. However, it was certainly no disaster, and could have been better had there not been a whole host of second place finishes during the trial. 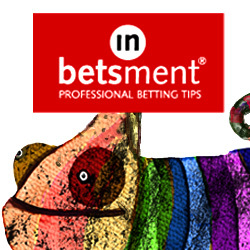 All results are published at Betfair SP, so there is also the possibility of beating those results with a bit of work. Given these mitigating factors, we feel a neutral rating is a fair verdict for The Win Picker. Just need to pick a few more winners and few less seconds and this could be a profitable service. We will keep a watching brief for now. You can check out the Win Picker here. It continues to be very quiet for the Win Picker. They are just trotting along at the moment and can’t seem to get into a cantor, let alone a gallop. Since our last update they have dropped a couple of points to stand at 6 points up overall for the trial so far. There is a lot to like about this service – very simple to follow, all bets at Betfair SP and a good strike rate. It is still in profit for the trial, so certainly nothing to complain about here. But nothing to get too excited about either so far. We have about 3 weeks left in the trial so let’s see if they can push on and finish with a flourish. Still pretty quiet times for the Win Picker, dropping just a couple of points since our last update on the 5th September. That means they are now 8 points up overall since the start of our trial about seven weeks ago. They have continued to be unlucky however, with a whole host of seconds lately, including one of today’s runners. Things could be a good deal better with just a little bit of fortune, so hopefully the luck will turn and we will see an uplift in results soon. We do consider this to be quite a promising service as it is very simple to operate and with results recorded at Betfair SP there is no chance of missing prices etc. Back soon with further updates. The Win Picker has rather trod water since our last update a couple of weeks ago. They were 10 points up at the time of our last update and are still 10 points up now – well, 9.65 points up to be exact. There is a bit of a sense that they have been unlucky, with quite a few second place finishes lately. Hopefully things will pick up now for the Win Picker. Further updates to follow soon. We are just under a month into our trial of The Win Picker so time for an update on how things are going. So far the service is 10 points up, so a steady start. All selections are advised at Betfair SP, which means not only can you match the published results but it is super easy to follow and takes very little time to back the selections. Prices are generally at the lower end of the spectrum at around the 4.0 mark, although some have been as low as 1.1 and some as high as 9. So we are off to a solid start in the first month and let’s see if things continue in the same vein for the remainder of the trial. In the meantime you can check out The Win Picker here.